View More In Video Projector Accessories. 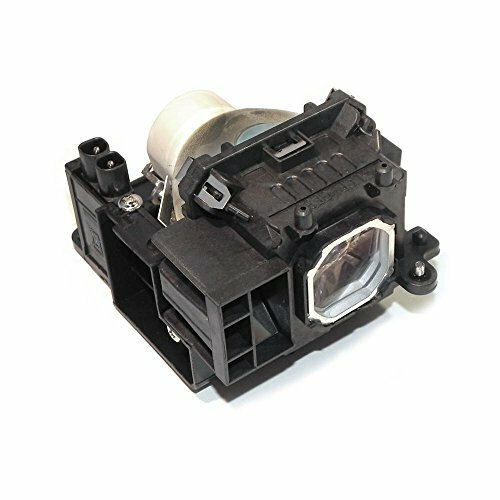 This new replacement front projector lamp 1018580-ER from eReplacements is 100% compatible with your Smartboard and has an estimated lamp lifetime of approximately 2,000 hours. This lamp is user replaceable. Refer to your projector's manual for replacement instructions for this lamp. eReplacements front projector lamps all come with a 90 day warranty and will meet or exceed the original Smartboard lamp specifications because they are manufactured for high performance using top quality replacement bulbs and the most up to date safety and engineering control standards. Brand new high quality replacement bulb manufactured in our ISO 9000 factories Plastic housing engineered to perfectly fit into your projector Internal safety features protect your device from electrical hazards Why pay more for an expensive Smartboard replacement lamp? The 1018580-ER is a more economical solution to high priced Smartboard lamps. Thousands of resellers, dealers and service companies over the years have trusted eReplacements to provide their customers with quality replacement front project lamps. If you have any questions about this product by P Premium Power Products, contact us by completing and submitting the form below. If you are looking for a specif part number, please include it with your message.